I've been coming here off and on over the years, long before the fire that changed the whole place. They are still recovering, but are on the last phase - building the new shelter. So please pardon the dust and the mess, it's getting better. I adopted my Tony Elliott (dog) from JHS last summer during a mega-adoption. He was heartworm positive and a sponsor generously paid for his treatment here at the hospital. The ladies and gents who work in the hospital are all awesome and loving. Tony came from a very hard life but loves these people so much. He has a lot of issues, but has never shown any aggression or fear of anyone working here. The hospital is beautiful and spotlessly clean. I will support this place for as long as it exists. That's how much I believe in them. I got my Wire haired Jack Russell terrier here as a pup. She came from a puppy mill that was recently busted. That was 8 years ago and she's as spoiled and adorable as she ever was. Came here for a kitten, had to visit several times cause almost all of them were already adopted. Finally we hit pay dirt and found our glorious Harley Quinn. Definitely rescue and don't shop for your fur family. The universe thanks you. My experience was awesome. The staff was friendly and helpful, although kinda a wait to see a dog- it was well worth it. I'm a huge fan of anything that involves "no kill". We spent roughly 2 hours loving on each animal before selecting 3 we'd like to visit. As we were inside waiting I saw a beautiful brindle dog laying in an office. Immediately I was in love. The lady let my husband and I come inside and love on him for a good 30 minutes while we waited to see the other pups. Every dog we interacted with was loving and sweet. But I couldn't get The beautiful pit bull out of my head. As we were leaving we made sure to say our goodbyes to him. The next day I went back "to visit" and ended up leaving with Roberto. The entire adoption process took 30-45 minutes. He was sponsored and most of the animals there our so we only paid for his rabies tag and heart worm medicine. They also have a veterinarian clinic which is cheaper than most places around town. The staff was amazing and told me I'm welcome to bring him in to visit anytime. Which made me fall in love with this shelter even more. The fact that they fall in love and have special bonds with the animals is awesome. I highly recommend checking them out and bringing home a new family member. If you can't adopt, donate or foster! Jacksonville humane is the best animal establishment in Jacksonville. They offer top of the line care for both the adoptable pets and yours. I almost gave away an animal about a year ago and they helped cover her medical bills. I was so fortunate that they offer programs to help keep animals from being donated. 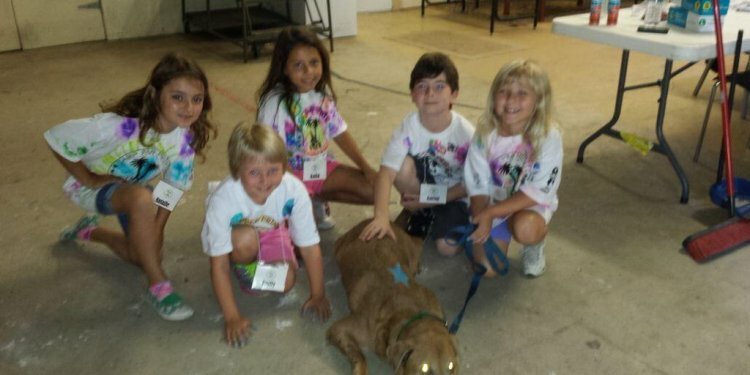 The training classes help encourage people from keeping animals due to better behavior. They also have animal behaviorists on site too. Overall, the establishments is awesome part of the community and I'm very fortunate to have jax humane society here. I love animals and it is difficult to go here without wanting to take them all home. Specifically though I am rating the community animal hospital since that is where I have had the most interaction at this Humane Society. The challenging part of bringing our pets here is getting through to them on the phone to schedule an appointment. Almost always you will get the answering machine during business hours, but on the positive side someone will call you back if you leave a message. They also do not oversell you once you are in with the vet but the do honestly tell you what your pet needs. The veterinary staff also seems to love your animals whether you have cats or dogs, they love them all. Although I didn't tour the entire shelter on my visit to drop off donations, I did have an opportunity to speak with some staff members. They were very helpful, spoke very highly of their dedication, the facility, and quality of accommodations. They also encouraged us to visit the Humane Society Thrift Store. We did and made purchases in order to help support the animals. I was surprised at the disarray on the outside of the building. It seemed to also continue over to the thrift shop. I fully support any animal shelter attempting to help, that truly cares for animals, so I am hoping it was all due to a crazy Saturday afternoon. I hope to update my review when I have had a chance to visit and tour more of the facility, visit animals in need of adoption as all of our Fur family have always found us through shelter adoptions or similar facilities. Please visit your local humane society & donate whatever you may have to help support these needy animals in hopes of saving precious souls. Encourage friends & loved ones to adopt as opposed to purchase from pet shop or breeders. We have often seen, and adopted full breed, highly sought after life long companions from various shelters over past 25yrs. My current lil guy is a full breed Yorshire Terrier who we adopted two yrs ago from a no kill shelter on Amelia Island. Adoption makes your heart happy !! The Jax Humane Society does a great job. I have only been to the animal hospital portion, but they were so friendly and careful with my 90 pound baby. They were a little hard to get in contact with, but once I did it was all worth it. I will continue to bring my babies here for medical care.